AMVETS saves the day at film shooting in Brighton; Talker pitches in. 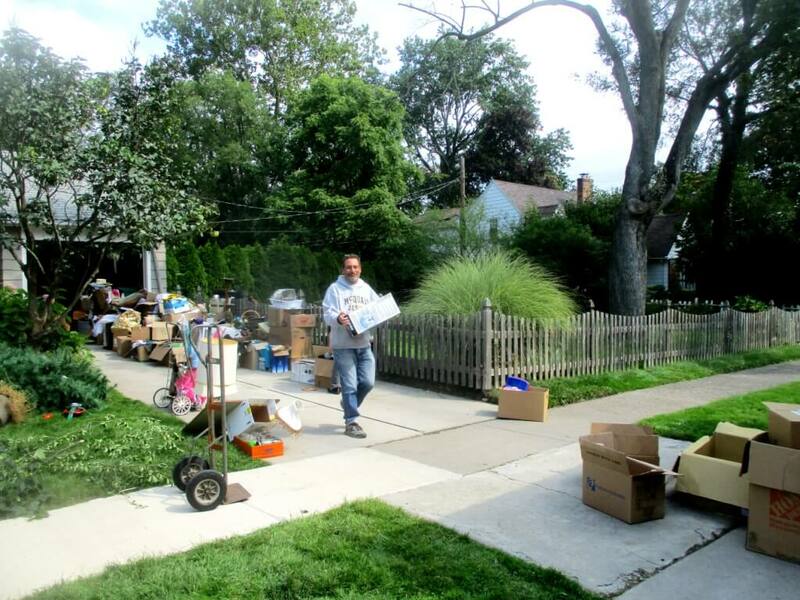 The latest location was the corner of Troy and Brooklawn in Brighton. The two days of filming drew curious and sizable crowds who enjoyed the appearance of Lithgow and Danner. When Talker arrived at about 11:30am on Sunday, we got the inside scoop. 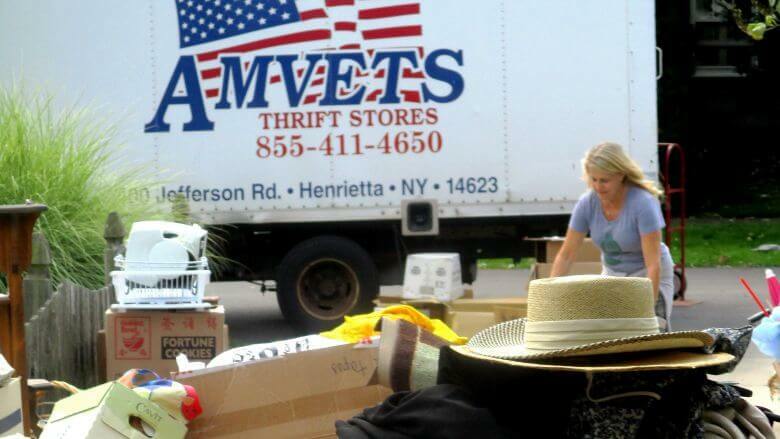 A truck from the Henrietta AMVETS Thrift Center, run by the American Veterans National Service Foundation, was parked in the driveway while three people were loading up boxes filled with thrift store material. 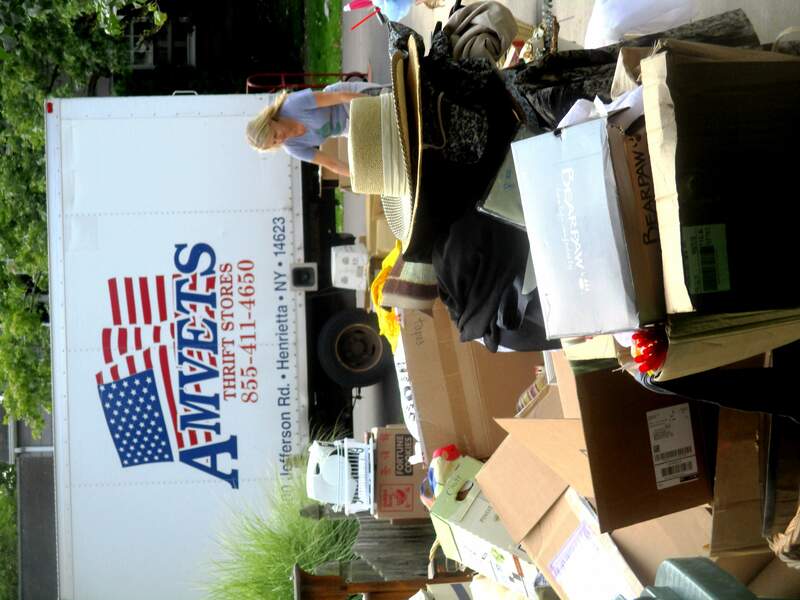 As I learned from the local production artist who was helping two AMVET volunteers, John and Sally, Blythe Danner’s character is a hoarder. 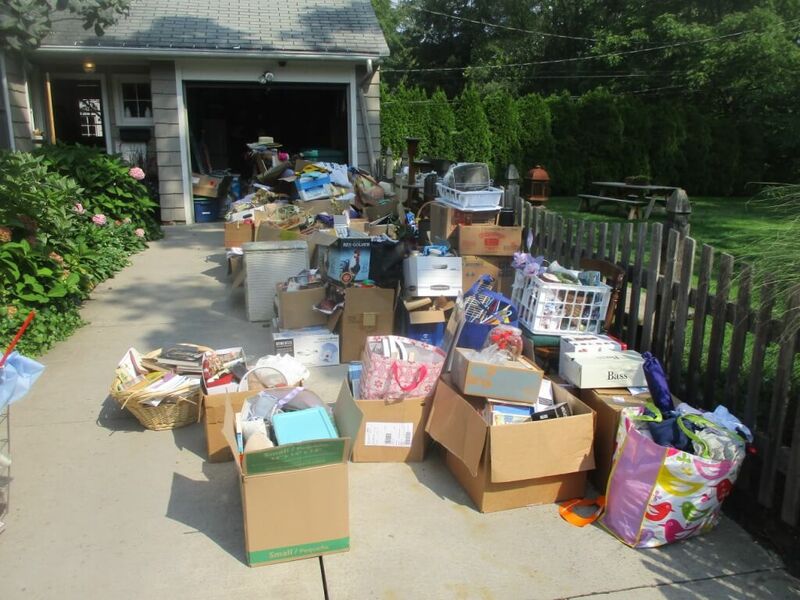 The production team needed to fill up her house to the brim with a lifetime supply of garage sale items. 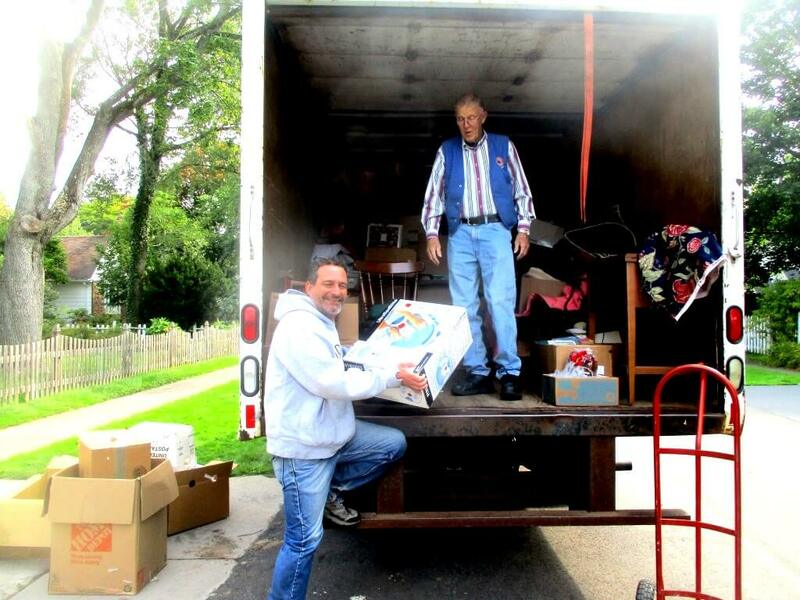 AMVETS offered to provide the material, filled up the truck and delivered the stuff to the site. 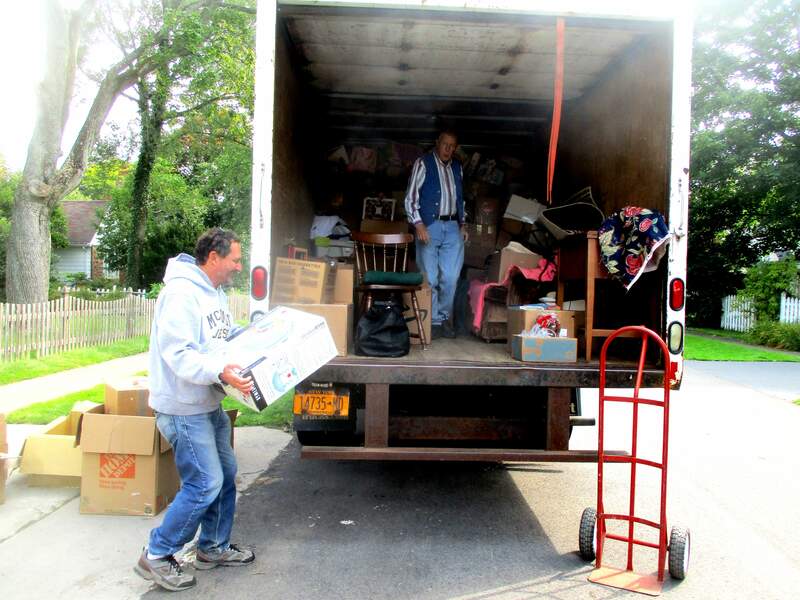 Today, the truck came back to retrieve the dozens of boxes, which included new donated items. So it was a win for the local film scene and a win for AMVETS. 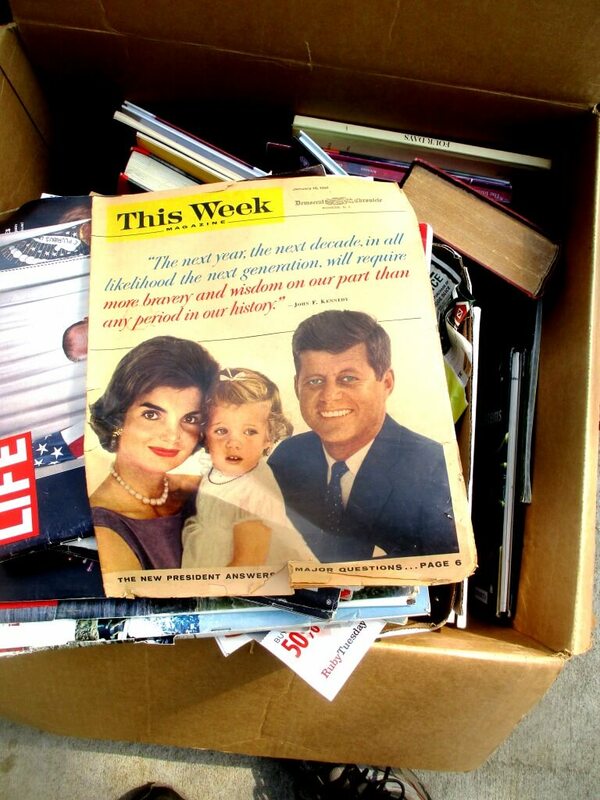 Because Talker supports AMVETS, we lent a hand.